Are you looking to increase socialization, take turns, exchange money and learn what it means to make a purchase than try Toca Boca Store by Toca Boca AB $2.99. 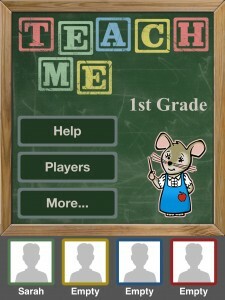 This app helps children explore daily living skills and primary money skills. First the student chooses what they want to sell in their store. This is an opportunity to decide if the store will be a toy store, a supermarket, or another theme based on the items on the menu presented at the beginning of the app. Next, one student is the shopkeeper and the other is the purchaser. The goal is to purchase items using the given coins and making sure the child stays within budget using “pennies”. Money should be introduced in first and second grade based upon the Common Core Standards. Working with developmentally disabled students this app has been a great app to increase student understanding of money exchange and budgeting. When two students play a game social interaction happens. Toca Boca Store encourages children to discuss what items they want to purchase and how much money they have to purchase an item. The shopkeeper’s role is to encourage the purchaser to buy the items in their store. While students’ are role playing other students can watch while the teacher tapes the the scene. In my class students go out to the supermarket to food shop. Toca Store is a good activity to use prior to going out to practice asking how much something is and paying at the cash register. Using apps that offer real life scenarios help students before going out to real world experiences. This is not a data tracking app but you can develop your own checklist to help students understand what needs to be done when going out into public situations. In addition Toca Store is fun and allows kids to enjoy an experience that will one day will be a real-life experience. Comprehension is a skill that many students struggle with. It may be because of a Learning Disability or other type of disability. Many of these students lack the ability to process information that is written and need strategies to help them understand how to decipher both narrative and expository text. Reading Comprehension Non-Fiction for Kindergarten and First Grade by AbiTalk- Emmy Chen- Free and full version is $2.99 uses Science topics that are a few sentences long with a picture. Students can either practice or take a test to collect data for teacher records. 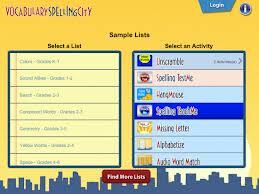 The student has anywhere from 8-10 multiple choice questions to answer. The test collects the students’ data and can be mailed to the parents. If the student is not a reader they can press each word and have the sentences read to them which works well for students who are auditory learners. As students are reading the stories the teacher can stop after each line and ask what was the main idea of the sentence. Using a Smart Board the teacher can set up a graphic organizer helping the student to organize their thoughts. After the facts are read the teacher can reinforce each of the facts before having the students take a practice quiz. If the child is still struggling they can draw a picture of the theme to help reinforce the facts. The free version gives you 4 stories to read and test your students with. If you feel this is a good tool to help your students with Non-Fiction and answering multiple choice questions for $2.99 you will get a total of 20 stories all about Science. This is a nice basic app that meets the Common Core Standards on Non-Fiction Reading Standards. If you are working with students who are on a Kindergarten-First grade level this app is a good introduction to how to answer comprehension questions.